Angus Matheson (1912-1962) was a lecturer and the first Professor of Celtic at the University, from 1956 until his death. The annual Angus Matheson Lecture is named for him. Born on Harris, Matheson attended Inverness Royal Academy and in 1934 he graduated MA with First Class Honours in Celtic from the University of Edinburgh. He continued his studies as a McCaig Scholar at University College, Dublin, and the University of Bonn. In 1936 he became an assistant lecturer at the University of Edinburgh. 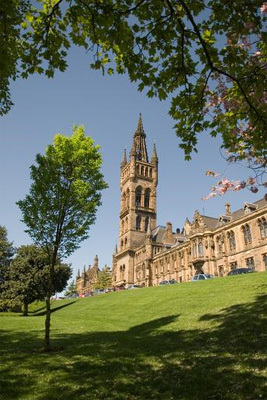 In 1938 Matheson moved to Glasgow as McCallum-Fleming Lecturer in Celtic at the University. He served in the BBC Monitoring Unit, 1940 to 1942, and in the Royal Corps of Signals and the Intelligence Corps from 1942 until 1946, before returning to Glasgow. He was senior lecturer in Celtic from 1953 until his appointment to the Chair.